APDEA is proud to serve the people of Anchorage and is interested in your feedback. Please remain involved and don't be shy about calling, writing, dropping us an email or talking to a member. Sergeant Jeremy Conkling joined the Anchorage Police Department in 2011. Beginning as a patrol officer, Sergeant Conkling has spent most of his career on patrol swing-shift, where he also performed as SWAT, Firearms Instructor and Officer Survival Instructor. Prior to joining APD, Sergeant Conkling served four years with the Valdez Police Department. Sergeant Conkling, who currently serves as the APDEA’s President, was first elected to the executive board in 2016. 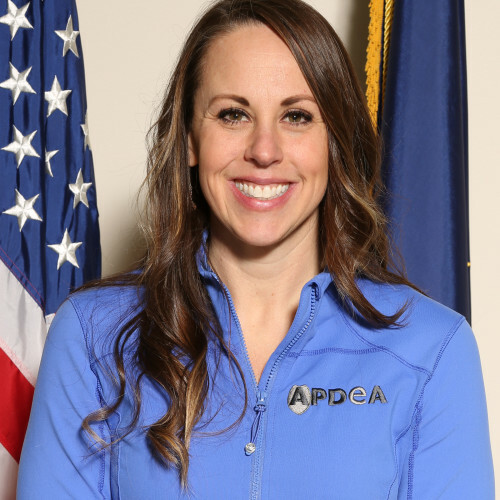 Officer Angie Fraize currently works at the Anchorage Police Department Training Center as a recruiter and has been in law enforcement for over 15 years. Angie was born and raised in Alaska and is raising children of her own with her husband, also an Anchorage Police Officer. Angie hopes to bring a passion for volunteerism and service to the broad spectrum of residents in Anchorage. Detective Margaret Bergman currently works at the Anchorage Police Department in the Burglary Unit and has been in law enforcement since 2000. Margaret has been a shop steward and on the Executive Board in the past. She was elected APDEA Treasurer in 2018 for the 2019-2020 term. Dennis Lasley began his career at APD in 2008 as a patrol recruit. Due to an injury, Dennis joined the ranks of our civilian staff in 2009 and currently works in our Dispatch Center as a Communications Clerk II. Dennis has worked in a number of areas throughout the department, including Records, Administration, Evidence, Detectives, and the Fleet Program, giving him a broad understanding of the agency’s various operations and functions. Dennis has served on the executive board in the past, and joins us as Secretary for the 2016-2018 term. Brianne Bowers currently works at the Anchorage Police Department in the dispatch center as a Communications Clerk II. Brianne originally started her career at the APD as a Records Clerk. Brianne has served as a shop steward, on the Executive Board and now as the Communications Officer for the 2017 - 2019 term. Karen Kurtz worked for the Municipality of Anchorage for 30 years, 28 of which were with APD Dispatch. 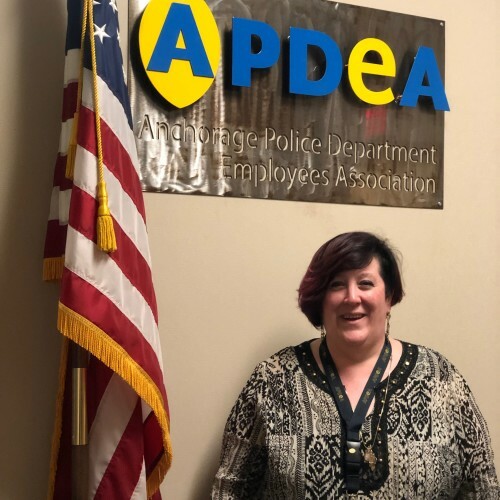 During her career as a dispatcher, Karen also served on the APDEA Executive Board. After retiring and taking a year off, Karen became the Administrative Assistant for APDEA. Karen and her husband stay busy trying to wear out their energetic Rottweilers and Murphy the cockatoo. View our APDEA 2018 Collective Bargaining Agreement. Please feel free to use the following resources to get in touch with us and we will respond in a timely manner. © 2019 APDEA. All Rights Reserved.